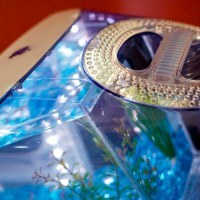 You will receive a finished iMacAquarium with built in tank, light and filter. Available colors are listed in the dropdown menu below. If the dropdown menu won't display please email me. Rare colors have a higher price. See below for a full list of features, details, and videos. When you select "Add to Cart" you will be directed to PayPal to sign in and review your order. Click "Continue Shopping" to add more items to your order such as a matching mouse and keyboard or a clock or a lamp. Bofore you order please review the list of features below and feel free to ​​​​​​​​​ email me with any further questions. International shipping is available and may be subject to customs fees or VAT upon receipt. Items operate on US standard electrical plug and 110/120 volts. This is an Apple computer which I have transformed into an aquarium. I've designed and hand build each aquarium out of a discarded Apple G3 iMac. 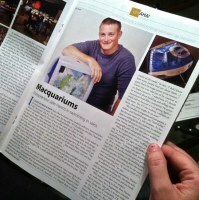 Each iMacAquarium is ready to use right out of the box. Simply decorate it how you wish and add water and fish! Visit the FAQ Page and Gallery for more stuff! Custom built 3.5 Gallon acrylic tank is mounted inside iMac case. Face of the tank is curved to fit in the contour of the front bezel. Maximum water level can be at or above the top bezel line. Case is buffed, polished and waxed to look as new as possible. The colored part of the case simply lifts off to access the inside. There is room inside the case to store fish food and other supplies. Apple emblem on top of the case can be removed to feed fish. The New LED strip light illiminates the tank from all four sides! Use clear stones in the tank so light can shine through it! Small switch at lower rear of case turns light on and off. Light strand is water resistant. Light and filter operate on U.S. electrical plug and voltage 110/120v. Included is a Whisper 3i In-Tank Filter. Filter cartridge is dual sided mesh with activated carbon inside. The filter's air pump is mounted and wired for use. Replacement filter cartridges are and common and inexpensive. Some cases are more transparent than others. Transparent cases are clear and easy to see through. They include I​ndigo, Graphite, and Ruby. Translucent cases have a smooth frosty or foggy look to them. The light inside the case shines through nicely but it is harder to see details inside. These colors include Aqua, White, Pink, Green, Orange, Dalmatian, and Flower Power. Hidden inside the base of the iMacAquarium is a power receptacle so you have the ability to plug in an additional item such as a device charger, tank heater, or alternative lighting. Simply remove the bottom of the unit, plug in the device of your choice, and reassemble. Obviously you will want to do this before you add water and fish! Some plastic parts on the iMac's case have to be trimmed off to accomodate the tank inside. I set up to trim several cases at the same time. When finished I'm covered in plastic shavings! This is one of the videos I created for a successful ​ Kickstarter Campaign several years ago. It's kind of painful for me to watch now, but it has some good information so I'll leave it here for you to see. Step one, take everything apart.  You'll notice I do every step in batches for consistency, quality control, and time management. Here we are taking apart iMacs. The shop is kind of limited on space but everything has it's place. All of the pieces get sorted into respective boxes and any unused components are recycled. Just a look at the aquarium from the fish's perspective. In case you're wondering, my fish is named Tester, because he's a betta fish... get it! It's a computer joke. The iMac Cases are usually not in very good shape by the time I get them. I spend a significant amount of time polising them to look as new as posseble. I pay quite a bit of attention to all of the details. In this video I am polishing the Apple emblems that go on the top of the case. I have a four step polishing process to make the cases look as shiny as possible. The iMacs are sometimes in very bad shape when I get them but with an hour or two of buffing I am able to get out most scuffs and scratches.